It's probably one of my favorite things to eat, especially when paired with hot salsa. 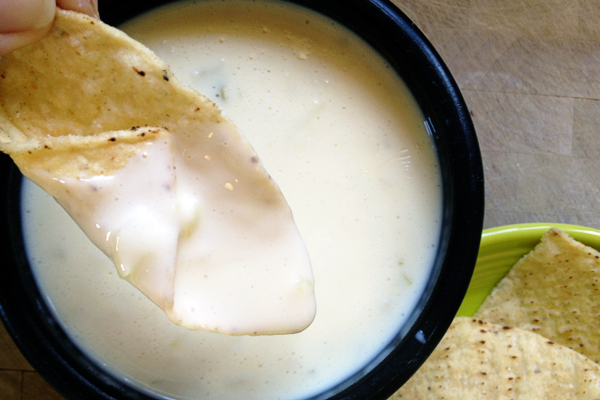 When we eat out, it's usually a Mexican restaurant just so I can satisfy my queso-craving. I have searched all over the internet trying to find a recipe for my favorite food but haven't had much luck. I've made countless versions with all kinds of different cheeses. 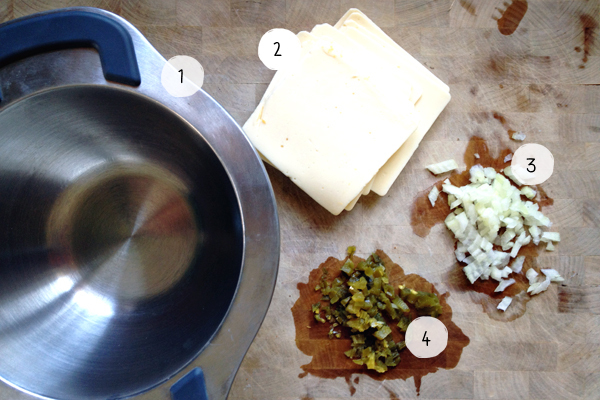 I've tried everything from asadero to pepper jack and pretty much everything in between. 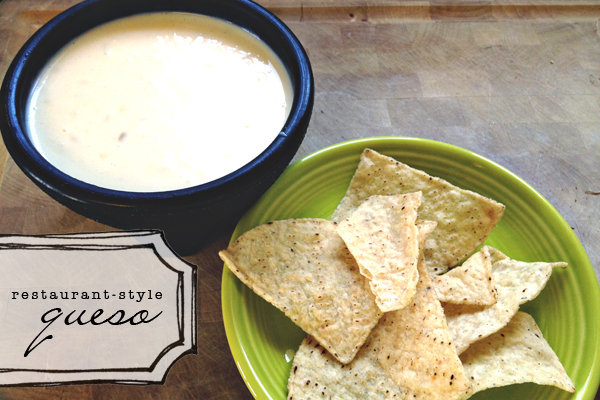 I've even tried the new queso blanco version of velveeta cheese. Call me obsessed, crazy, whatever, I just like my cheese and want to be able to make it at home. 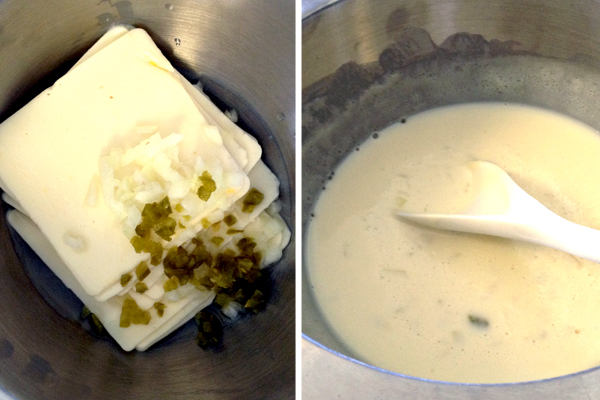 I was recently given some insight on some basic ingredients at one of my favorite restaurants and after several failed attempts at ratios and combos, I have perfected my white queso! I'm usually not overly dramatic about food *snickers to self* but this has been life-changing. The ease and simplicity of this recipe may be the end of me. Oh, and I got the cheese at the deli counter of the grocery store. Put everything in a double-boiler over simmering water, stirring occasionally until everything is melted. Heat a few minutes longer and give it a few more good stirs. Pour it into a bowl, grab a bag of chips, plop yourself down on the couch and don't be ashamed if you eat it all in one sitting. My tummy is now growling... might try this weekend (looks so yummy). Thanks for sharing! I'm falling in love right now... I have to go make this as soon as possible! I made this last night and it just felt like something was missing. American cheese wasn't the right choice. Next time I might try a cheese with a little more zip to it.